The 70-200mm G2 is a top-class lens in every respect. It combines impeccable build quality with spectacular image quality and superb all-round performance. It out-performs the equivalent Canon lens and, compared with the Nikon, it’s an absolute steal at the price. Canon and Nikon photographers who demand the best quality and performance will typically buy premium own-brand lenses if they can afford them, or third-party lenses if they can’t. But this Tamron G2 (Generation 2) is arguably better than Canon’s top-flight 70-200mm f/2.8 lens, and is essentially as good as the latest equivalent Nikkor, while undercutting both of them for price. 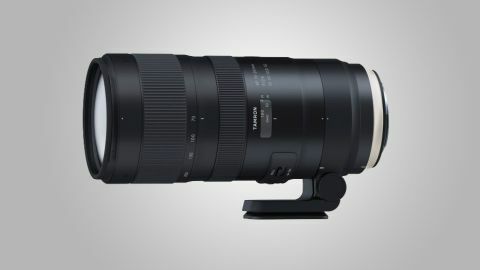 Indeed, the Tamron is about £1,050/$1,500 cheaper to buy than the directly competing Nikon AF-S 70-200mm f/2.8E FL ED VR. Tamron’s original 70-200mm VC USD lens didn’t skimp on features but had a couple of notable drawbacks. The single-mode optical stabilization system didn’t work particularly well when panning and the lens wasn’t compatible with tele-converters. The G2 addresses both of those issues, and much more besides. The G2’s optical path has been redesigned and optimised to deliver greater sharpness and contrast, along with reduced color fringing. Nano-structure eBAND (Extended Bandwidth & Angular-Dependency) coatings have been refined to further resist ghosting and flare, and are used in conjunction with conventional BBAR (Broad-Band Anti-Reflection) coatings. Along with enhanced optical performance, the ring-type ultrasonic autofocus system has been uprated for greater speed and accuracy. Sharpness in handheld shooting is enhanced by a new-generation, triple-mode VC (Vibration Compensation) system. It delivers class-leading 5-stop stabilization and, compared with the original lens, gains two additional stabilization modes. The second mode is for panning and the third applies stabilization only during exposures, leaving the viewfinder view unadulterated. This is ideal for tracking erratically moving subjects. Electromagnetic diaphragm control has long been a standard feature of Canon-fit lenses, but the G2 also employs this in the Nikon-fit edition. The main benefit is that exposure settings tend to be more accurate and consistent throughout bursts of high-speed continuous shooting. Given the suitability of this type of fast telephoto zoom for action sports and wildlife photography, it’s an important factor. The downside is that, as with Nikon’s latest equivalent lens, aperture control is unavailable when using some older Nikon DSLRs. Build quality is improved over the original Tamron lens, with a metal rather than plastic barrel. A full set of weather-seals around all of the lens’s joints and on the mounting plate combine with a fluorine coating on the front element, which repels moisture and aids easy cleaning. The removable magnesium alloy tripod collar has an Arca-Swiss compatible foot, for easy fitment on tripods and monopods that are based on the same system. The lens is compatible with Tamron’s optional TAP-in Console, which enables firmware updates to be applied via a USB link from a connected computer, as well as customisation and fine-tuning of autofocus and Vibration Compensation. The G2 is also fully compatible with Tamron’s new 1.4x and 2.0x tele-converters, which boost the zoom range to 98-280mm or 140-400mm respectively, with a drop in aperture rating to either f/4 or f/5.6. In both cases, autofocus and VC remain available. Handling is a joy, with a smooth and fluid feel to the zoom and focus rings. As usual in this class of constant-aperture telephoto lens, the zoom and focus mechanisms are fully internal, so the front element neither extends nor rotates during use. Even so, the lens is typically heavy for a 70-200mm f/2.8, weighing in at 1,500g or 1,485g for the Canon and Nikon mount editions respectively. Our only slight complaint in terms of handling is that the switches for stabilization, focus mode, and the autofocus range limiter are rather large and sit proud of the lens barrel. While this makes for easy operation, even when wearing gloves, it’s quite possible to nudge them with your left thumb accidentally while shooting. We sometimes found that we’d changed the position of a switch without noticing. For sheer image quality, the Tamron is mighty. Sharpness and contrast are fabulous even when shooting wide-open. Throughout the zoom and aperture ranges, sharpness beat that of the Canon EF 70-200mm f/2.8 L IS II USM in our tests, and closely matched the Nikon AF-S 70-200mm f/2.8E FL ED VR. Along with great sharpness, the G2 delivers deliciously smooth and creamy bokeh (the quality of defocused areas within images). In other areas of image quality, the G2 continues to impress, with negligible color fringing, very minimal distortion, and excellent resistance to ghosting and flare. As advertised, autofocus is super-fast and consistently accurate. The VC system is simply amazing. These facets of performance help to maintain stellar image quality even when tracking fast-moving subjects or shooting under dull lighting conditions. Tamron has long been considered by many as a manufacturer of ‘budget’ lenses. However, some of its recent prime and zoom offerings are of a fully professional-grade standard. The 70-200mm G2 is a top-class lens in every respect. It combines impeccable build quality with spectacular image quality and superb all-round performance. It out-performs the equivalent Canon lens and, compared with the Nikon, it’s an absolute steal at the price.